Thomas J. Csordas is a Distinguished Professor in the Department of Anthropology, the Dr. James Y. Chan Presidential Chair in Global Health, Founding Director of the Global Health Program, and Co-Director of the Global Health Institute at the University of California, San Diego. He has served as President of the Society for the Anthropology of Religion and Co-Editor of Ethos: Journal of the Society for Psychological Anthropology, and is an elected member of the American Society for the Study of Religion. His research interests include medical and psychological anthropology, global mental health, anthropological theory, comparative religion, cultural phenomenology and embodiment, globalization and social change, and language and culture. 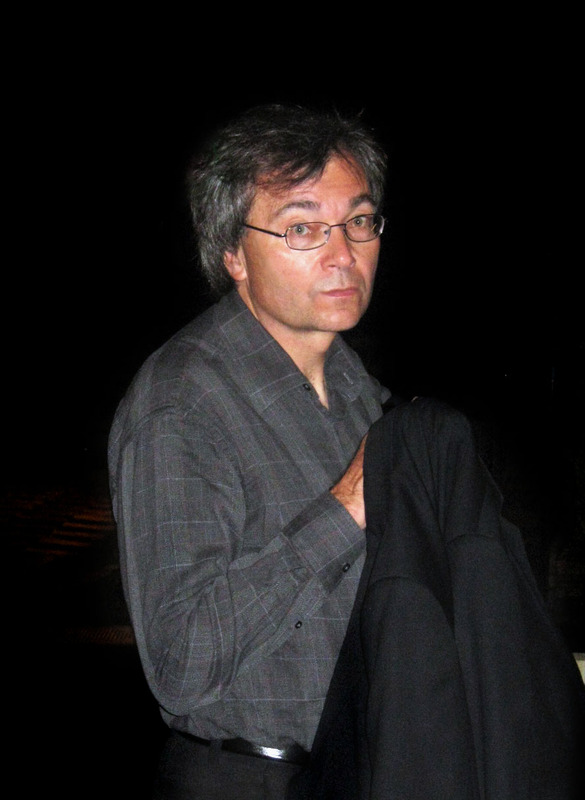 He has conducted ethnographic research among Charismatic Catholics, Navajo Indians, adolescent psychiatric patients in New Mexico, and Catholic exorcists in the United States and Italy, spanning topics that include therapeutic process in religious healing, ritual language and creativity, sensory imagery, self transformation, techniques of the body, causal reasoning about illness, and the experience of psychiatric inpatients. For a complete list of publications see curriculum vitae . 1994 The Sacred Self: A Cultural Phenomenology of Charismatic Healing. Berkeley: University of California Press. 1994 (Editor) Embodiment and Experience: The Existential Ground of Culture and Self. Cambridge: Cambridge University Press. 1997 Language, Charisma, and Creativity: The Ritual Life of a Religious Movement. Berkeley: University of California Press. Paperback edition 2001, New York: Palgrave. 2000 (Guest editor) Ritual Healing in Navajo Society. Theme issue of Medical Anthropology Quarterly, vol.14, no.4. 2002 Body/Meaning/Healing. New York: Palgrave. 2003 (Guest co-editor) Phenomenology in Ethnography. Theme issue of Ethnography, vol. 4, no.3. 2007 (Guest editor) Transnational Transcendence. Theme issue of Anthropological Theory, vol. 7 no.3. 2008 Corpo/Significado/Cura. Porto Alegre, Brazil: UFRGS Grafica. Portuguese translation of Body/Meaning/Healing. 2009 (Editor) Transnational Transcendence: Essays on Religion and Globalization. Berkeley: University of California Press. Professor Csordas is conducting an ethnographic study of the 21st century resurgence of exorcism in the Roman Catholic Church. The work is a cross-cultural comparison of this ritual practice in Italy and the United States, and includes priests who conduct exorcism rites, the demonically afflicted, lay assistants to the exorcists, and mental health professionals who consult with the exorcists. Analysis to date in this ongoing project suggests that exorcism be understood not only as a thriving form of religious practice but also as a dynamic social phenomenon, demanding explicit attention to the relation between the concrete experiences of social actors and the broader cultural processes and social forces in which they are embedded. Specifically, exorcism can be understood both experientially in terms of the therapeutic process put into play by the practice of ritual performance as an attempt to promote flourishing, and institutionally in terms of the conservative discourse of evil at large in the world that articulates a religio-political stance in the face of global cultural processes in social context. Dr. Csordas is currently Co-Principal Investigator (along with Dr. Janis Jenkins) for an NIH-funded (RO1 MH071781) study entitled “Southwest Youth and the Experience of Psychiatric Treatment” (SWYEPT). This research is a collaborative effort carried out with an interdisciplinary team. The study examines psychic distress, cultural meaning/dissonance, and structural violence among adolescents who are placed in residential psychiatric facilities. Also studied are adolescents who have not been treated for mental illness and who exhibit no signs of significant emotional distress according to research diagnostic criteria. The study is being conducted among a multiethnic population (Latino, Native American, Euro-American) with a research protocol that is longitudinal and spans a wide geographical area, following participants after hospital discharge into a range of social settings including other psychiatric facilities, kin-based homes, foster care homes, schools, and neighborhoods. Methods of study combine ethnographic observation and interviews, psychiatric diagnostic interviews, and informal and unstructured procedures over time and across a range of social settings. Our goal is to produce anthropological knowledge of broad use to those concerned with culture and social conflict, mental health services, and an informed public policy that affects the lives of youths through institutions of care, containment, or social abandonment. The study is intended to shed empirical light on the often-neglected sites of poor American communities that are violence-ravaged by gangs and drugs. A major concern is to identify what strategies youths create to elude such circumstances and under what conditions they succumb to these circumstances. Institutional and everyday neoliberal discourse on “personal responsibility” is analyzed in a context of choosing short-term psychiatric facilities as preferable to incarceration in prisons/detention centers. The problem of uncontrollable rage, and what can at times appear as heroic familial struggles to “contain” such powerful affects has also emerged ethnographically as a central problematic for the development of social, moral, and political theorizations of youth culture and life worlds. This is an interdisciplinary graduate seminar examining the place of the body and embodiment in contemporary culture and culture theory. The body is at the same time the original tool with which humans shape their world, and the original substance out of which the human world is shaped. Recognizing that the body has become increasingly problematic for scholarship in the past two decades, the seminar begins with the premise that the fact of our embodiment can be a valuable starting point for rethinking the nature of culture and our existential situation as cultural beings. This perspective promises to throw new light on questions traditionally asked by anthropologists, psychiatrists, psychologists, philosophers, historians, and students of comparative religion and literature. It should also, however bring to light new questions and sources of data overlooked by thinkers in these fields. Seminar readings include works by major theorists who have contributed to an understanding of embodiment, as well as examination of the relation between the body and cultural domains such as religion, health, technology, dance, gender, sexuality, sense perception, violence, biopolitics, literary representation, temporality and aging, food and diet, space and architecture. This course addresses the nature of ritual healing across cultures and historical periods. We examine the relation between medical and sacred realities in healing, and the analogy between psychotherapy and religious healing. Framed by concepts such as medical pluralism and the health care system, we compare different types of healers and healing practices, and how different problems submitted to ritual healing are identified, defined, and diagnosed. We discuss experiential aspects of therapeutic process and efficacy, with emphasis on the transformation of self and meaning as well as on the distinction between incremental and miraculous change. I have taught this seminar at both undergraduate and graduate levels, as well as with adaptations for medical students and psychiatry residents. Despite an upsurge of discussion within the past decade, the role of religion remains understudied and undertheorized in debates about globalization and world systems. Are we witnessing a resacralization or a reenchantment on a planetary scale? Are the consequences for individuals de-alienation or remystification? Is religion a critical component in the ideological/religious dimension of a global social system? Drawing on literature from anthropology, sociology, and religious studies, the seminar examines these questions with respect to world religions, indigenous religions, and new religions in the contemporary global arena, across national and regional boundaries, and in the creation of new forms of subjectivity and intersubjectivity. Health and health care among the indigenous peoples of North America receives comparatively little attention in discussions of global health. The course examines fact and fiction with respect to epidemics of contagious diseases including smallpox and tuberculosis, alcohol and drug dependency, diabetes and obesity, depression and suicide. We analyze health care with respect to the history and development of the Indian Health Service, health care efforts by Christian missionaries, tribal-led health initiatives, indigenous spiritual healing, and collaborations between indigenous healers and biomedical professionals. The course’s title draws on the double meaning of “medicine” in the sense of biomedicine practiced in hospitals and clinics and in the sense of the medicine man as practitioner of indigenous healing modalities.